If you were listening to American Top 40 on your radio 30 years ago this week then one of the songs that you might have been waiting to record was the Force MD's "Tender Love". It was sitting in tenth place on Billboard's Hot 100 after becoming one of the best songs to come out of the Krush Groove soundtrack. Those are the details but if you were a teen then you knew this song because it was THE love song of the moment. "Tender Love" generated lots of dedications (remember when that was actually a thing?) from the left coast to the right and to this day it's easily recognized the minute it begins to play. The Force MD's first connected in Staten Island back in 1981 and despite having some old school hip hop roots it was their ballads that really brought them success. 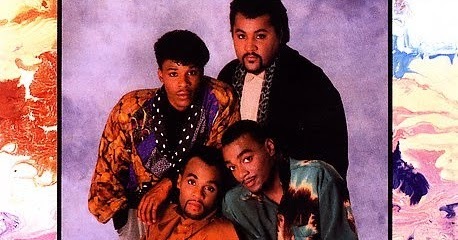 The band was also considered to be very early pioneers of the New Jack Swing movement that really took off in 1990. Sadly, three of the group's original members died of various causes in the late 90's. The remaining members put out their last Force MD's album in 2000. Check out "Tender Love" below. I promise that you're going to remember it.